Accounting expert Prem Sikka looks at this corporate catastrophe. After weeks of teetering on the edge, Patisserie Valerie has entered administration. What happened? Around £4.24m is owed to suppliers and another £222,000 to HMRC for PAYE and National Insurance contributions – and in the event of bankruptcy they are unlikely to receive anything substantial. Its demise could result in the loss of about 3,000 jobs. The company was listed on the Alternative Investment Market, a junior London Stock Exchange. Since 2010, it had reported rising sales revenues, gross and net profits. It boasted all the trappings of contemporary corporate governance – non-executive directors, audit committee, remuneration committee and compliance with UK Code on Corporate Governance. It was audited by Grant Thornton. Yet none of these seemed to give the company effective systems of internal controls. A statement issued by the company on 22 January 2019 said that said that “as a direct result of the significant fraud … it has been unable to renew its bank facilities, and therefore regrettably the business does not have sufficient funding to meet its liabilities as they fall due”. The reason for seeking additional bank credit was that in October 2018, the company reported that it had found a £40m black hole in its books which related to “potentially fraudulent” accounting irregularities. The company said that had discovered the existence of two “secret” company bank overdrafts. On 16 January, the company announced that its investigation of frauds has “revealed that the misstatement of its accounts was extensive, involving very significant manipulation of the balance sheet and profit and loss accounts. Among other manipulations, this involved thousands of false entries into the Company’s ledgers”. Consequently, the “cash flow and profitability of the business has been overstated in the past and is materially below that announced in the trading update on 12 October 2018”. The full extent of frauds is not yet known. The claim of “thousands of false entries” suggests that the fraud has probably been going on for some time. 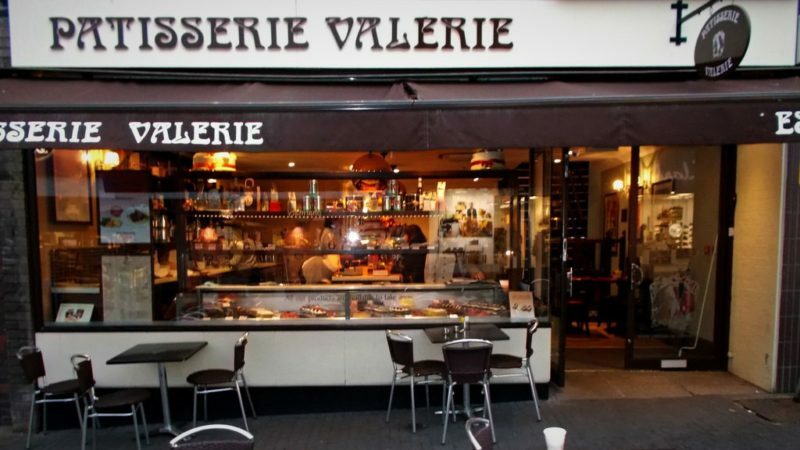 In October Patisserie Valerie’s finance director, Chris Marsh, resigned amid the fraud allegations. Directors hold shares and share options in the company. The value of these depends on company financial performance – potentially offering a perverse incentive to take part in ‘aggressive’ accounting practices, or even falsification of books. But the first port-of-call for implementing effective internal controls to safeguard the company’s assets is the company’s management. The company’s 2017 financial report said that “the Audit Committee has primary responsibility for monitoring the quality of internal controls and ensuring that the financial performance of the Group is properly measured and reported on”. This mechanism appears to have failed, as evidenced by the acknowledgement of fraud. It is worth noting that Carillion, BHS and all distressed banks rescued during the 2007-2008 crash boasted audit committees populated by part-time non-executive directors too to manage risks, and they all failed. Now the attention needs to turn to the conduct of Patisserie’s external audits by the Cambridge office of Grant Thornton, which in 2017 collected a fee of £120,000 (£110,000 for 2016), including £23,000 (£22,000 for 2016) for taxation services. An application of fairly standard auditing procedures should have enabled the auditor to detect false accounting entries and manipulations of cash flow, profits and balance sheet of the company. It is normal for auditors to examine a company’s bank statement and bank reconciliation. A standard practice is for auditors to write directly to banks to corroborate cash, loans and overdraft facilities with banks. So how did the auditors miss the “secret” bank overdrafts? The Financial Conduct Authority (FCA) is said to be investigating HSBC and Barclays over potential governance failings in their monitoring of current accounts and overdraft facilities for Patisserie Holdings. Company turnover and profits can be inflated by falsification of sales and debtors. Again, there are fairly standard audit procedures for dealing with it. For example, auditors directly write to significant customers to confirm the balances due to the company. Before signing the audit report, the auditors need to be satisfied that the alleged debtors actually pay. Purchase of raw materials and inventories could be deliberately understated to inflate profits, but again direct circularisation of suppliers to corroborate balance shown in the company’s record would help to draw attention to suspicious circumstances. Whether Grant Thornton did a meaningful audit is now a highly pertinent question. Take BHS. Last year we learnt that the PricewaterhouseCoopers’ partner responsible for the audit – Steve Denison – spent only two hours on the job and the audit team for its day-to-day work was supervised by a person with only one year’s post-qualification experience. Many of the key audit tasks relating to verification of assets, loans, liabilities, investments, revenues and expenses were simply not performed. We await the regulator’s report on Patisserie Valerie to learn more. Since November 2018, Grant Thornton’s audits for the years 2015, 2016 and 2017 have been under investigation by the Financial Reporting Council (FRC), the auditing regulator. The FRC is not known for speedy investigations. Patisserie Valerie is the latest of a long line of corporate scandals but reforms, if any, are slow to emerge. One thing is for sure: the auditing sector is well and truly broken. Prem Sikka is Professor of Accounting at University of Sheffield and Emeritus Professor of Accounting at University of Essex. He is a Contributing Editor for Left Foot Forward and tweets here.